CAPE CANAVERAL — Equipped with a robot arm, sample collector and return capsule, NASA’s asteroid-bound OSIRIS-REx probe emerged from its pristine factory and flew to the launch site in Florida this evening. A United Launch Alliance Atlas 5 rocket will hurl the 4,650-pound spacecraft toward Asteroid Bennu on Sept. 8 for a 7-year, round trip voyage to return a specimen of the celestial object to scientists on Earth. “It’s a great adventure to explore an unknown world. We are going to reach out and touch it, and we are going to bring treasure back to Earth,” said Dante Lauretta, the OSIRIS-REx principal investigator. It is a daring mission to be sure, with the tiny solar-powered satellite executing a “touch-and-go” maneuver at 0.22 mph in 2019 to obtain the sample from the relic of the solar system’s creation. OSIRIS-REx’s arm will contact the surface of Bennu for only five seconds, firing a puff of nitrogen gas to stir up the regolith into the collection chamber. The mission hopes to obtain between 2.1 ounces and 4.4 pounds of Bennu, the most extraterrestrial material returned to Earth since Apollo. After the valuable cargo is stowed, the craft will fly back to Earth and fire a descent capsule to a parachute-assisted landing in September 2023 in Utah. “The asteroids record the earliest stages of the solar system, so it really is time capsule from the very dawn in the history of our solar system,” Lauretta said. The launch campaign began today as OSIRIS-REx was flown from Lockheed Martin production facilities in Denver, via Buckley Air Force Base, to the Shuttle Landing Facility at the Kennedy Space Center. The Air Force C-17 transport aircraft touched down just before 7:30 p.m. It will be taken to the Payload Hazardous Serving Facility to undergo final testing and the loading of 2,600 pounds of maneuvering fuel. 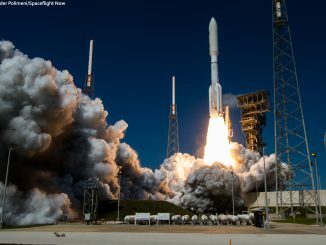 Two other Atlas launches are scheduled between now and OSIRIS-REx, deploying a Navy communications spacecraft on June 24 and a classified spy satellite at the end of July. Then stacking of the 411-configured Atlas 5 will occur in August at Cape Canaveral for America’s first asteroid sample-return mission. 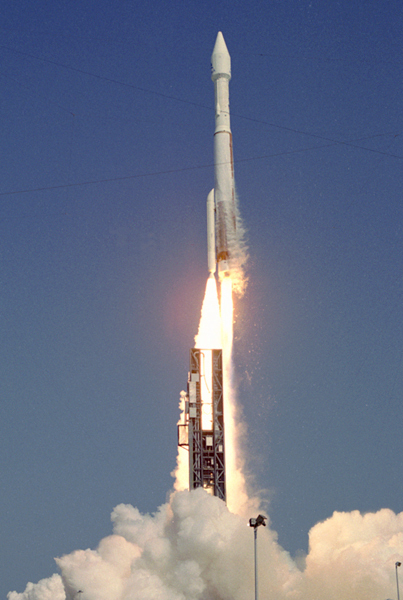 The two-stage rocket will feature a lone side-mounted solid booster for added takeoff thrust, a unique variant that has flown successfully three times before. 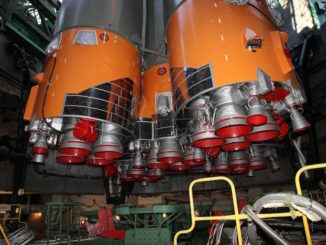 ULA and NASA managers plan to move the rocket to the launch pad temporarily in late August for a full countdown dress rehearsal and fueling exercise to uncover any technical issues. That’s because OSIRIS-REx has a limited launch window, through Oct. 12, for planetary alignment reasons. If it misses this opportunity, the flight would be delayed a year. 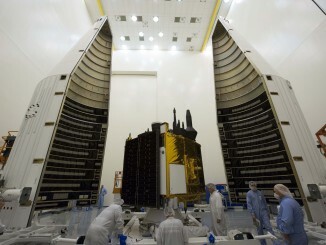 Liftoff on Sept. 8 is scheduled for 7:05 p.m. EDT (2305 GMT). The day’s 120-minute launch window will have liftoff chances every five minutes based on the evolving trajectory. The OSIRIS-REx name stands for the Origins, Spectral Interpretation, Resource Identification, Security, Regolith Explorer. It is the third mission in NASA’s New Frontiers program to explore the solar system, following New Horizons to Pluto and Juno currently en route to Jupiter.